It’s been a while since we’ve done a post about knives in the movies on The Knife Blog, so I figured it was about time to do another one. 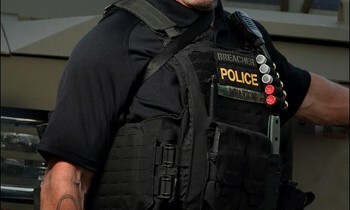 While I was looking around online, trying to figure out which movie to focus on, I found out that Spyderco and Benchmade knives are fairly common on the big screen. That got me wondering if there were any Chris Reeve knives out there. I honestly didn’t expect to find anything, but I was happy to be proven wrong! 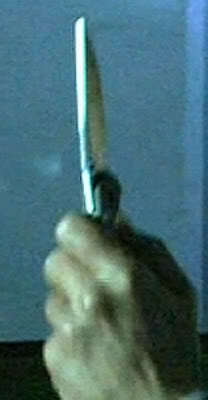 For some this may be old news, but in the movie Collateral (2004), Tom Cruise’s character carries a Chris Reeve Left-Handed Large Sebenza. I don’t know whose decision it was to have Cruise carry a Sebenza, but whoever it was sure has good taste! 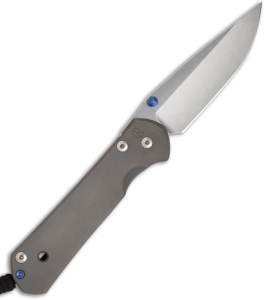 If you look closely at the knife, you will see a couple of traits that are characteristic of a Sebenza. The biggest giveaway is that the knife has the classic Sebenza drop point blade we’ve come to know and love. By the looks of it, the blade also has a single lug thumb stud. Here’s a clearer picture of a large left-handed Sebenza. While Chris Reeve knives are not cheap, I think everyone would agree that you get what you pay for with these knives; they are definitely top notch and high quality. Maybe someone knows that in the movie industry. You can find this Sebenza and more at Blade HQ. 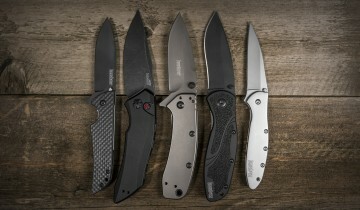 Have you seen Chris Reeve knives anywhere in the movies or on TV? There are whisperings of a Sebenza on the television show 24, but we don’t have any pictures to back that up. If you have seen Chris Reeve knives (or any other brands) anywhere on the big screen, be sure to let us know! WOW didn’t knew that looks cool maybe tom cruise is also a knife collector that would be so cool. 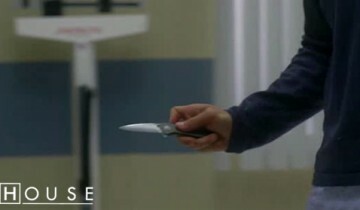 Tom Cruise would be the only one who could afford a $500 pocket knife! Looks like a modified Large Sebenza Regular with blunted tip. It’s probably also not sharp. That’s awesome – I’ve seen this movie 100 times but never noticed the Sebby! Only Cruise can pull off using a Sebenza in a suit! Too much expensive… But it’s wonderful! I didn’t notice it while seeing the movie!